Lovely Selenite charging disks to clear your crystals, jewelry, home, or other items! They have the flower of life pattern engraved on one side. 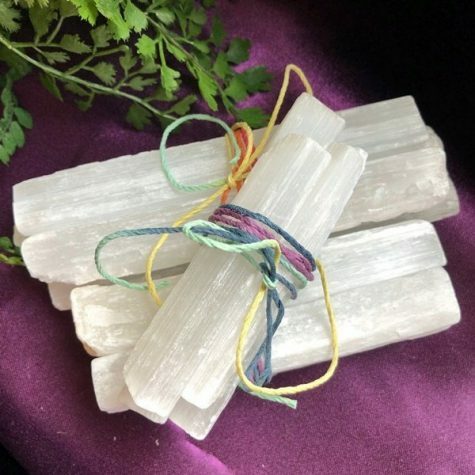 Selenite brings light from the higher realms into the physical body to create personal growth and transformation. The white stone has a strong vibration that can open the crown chakra and the soul star chakra, bringing insight and vision. This will assist you to access the Angelic realm. 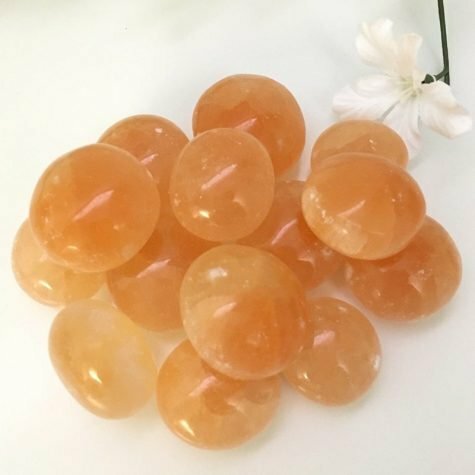 These are high vibration crystals that also deliver clarity of mind, by cleansing the aura of negative energy build-up, both within the physical and the etheric body. The Flower of Life is the modern name given to a geometrical figure composed of overlapping circles, that are arranged so that they form a flower-like pattern where the center of each circle is on the circumference of six surrounding circles of the same diameter. It is considered to be a symbol of sacred geometry, said to contain ancient, religious value depicting the fundamental forms of space and time. In this sense, it is a visual expression of the connections life weaves through all sentient beings, believed to contain a type of Akashic Record of basic information of all living things. Size is approximately 2.5-2.75 inches in diameter and 1/2″ thick.